Hello! Welcome to the first day of Taylored Expressions September Sneak Peeks! It's TE's sixth birthday! To celebrate, along with new stamps and dies, we are releasing our very own line of patterned paper and coordinating cardstock, as well as our own Embossing Folders! The Baker's Dozen is kicking off 4 days of projects (3 days of peeks and release day). All products will be released on Thursday, September 11, @ 7 AM PST. 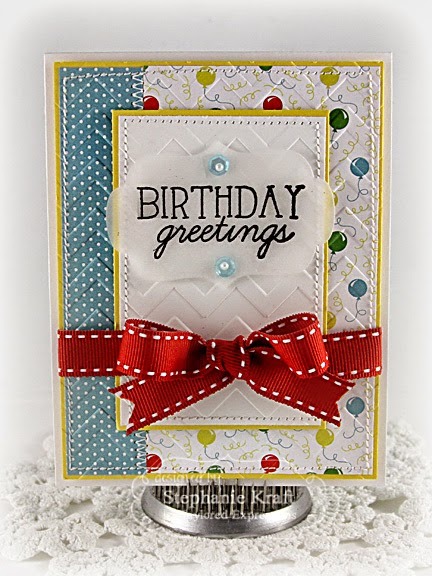 Be sure to visit the TE Blog for a fun sketch challenge with a $250 prize gift certificate. Before you head over to the TE Blog, I have some projects to show you! 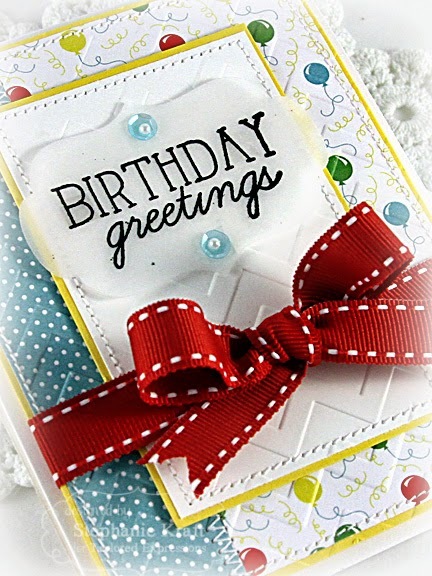 First up, a couple of birthday cards using In & Out Birthday, a large sentiment stamp that is full of wonderful sentiments to decorate both the inside AND outside of your cards! 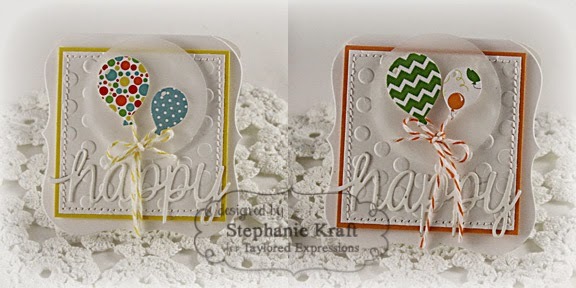 I used our new Double the Fun Matched Kit! It includes a 6x6 paper pack of patterned papers (that can be used for both male and female) as well as coordinating premium 100 lb cardstock! 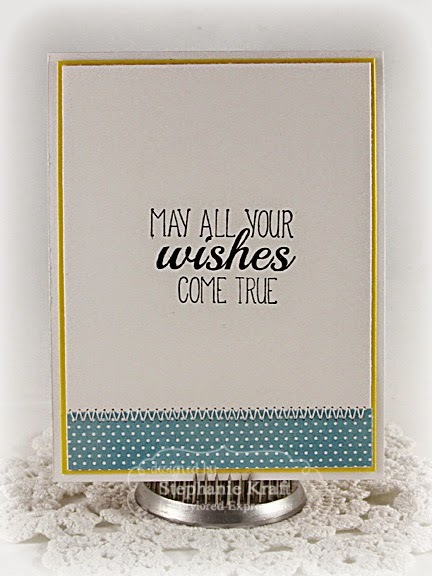 You can purchase the patterned paper and cardstock together in a Matched Kit OR separately. The sequins can be purchased as Double the Fun girl or Double the Fun boy collections. 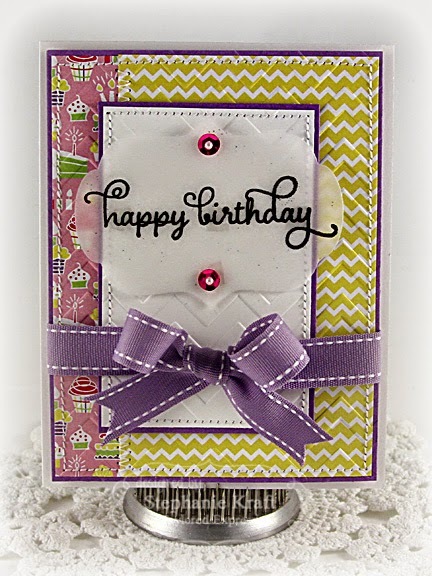 Using the same layout and supplies from the same Double the Fun Matched Kit, I made a girly version, too. Next, I have a set of Happy mini notecards! 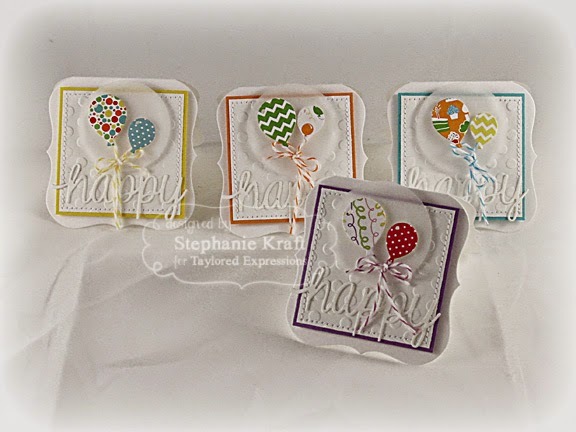 This set features one of the newest Little Bits dies, Little Bits - Balloons! 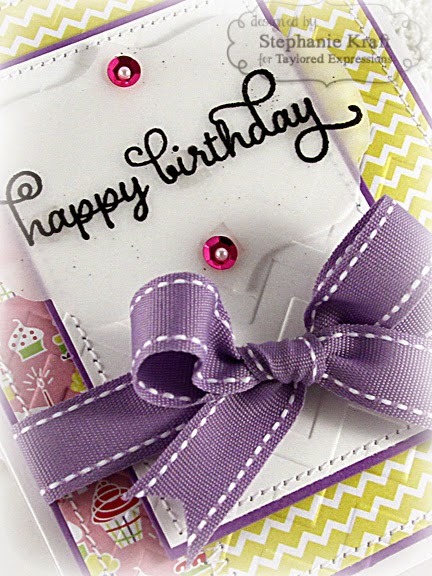 These were all die cut out of patterned paper from the Double the Fun Matched Kit and paired with coordinating cardstock. "Happy" is a die from our Think Happy Thoughts incentive set (more on that later). To celebrate our 6th year, we've designed a special party favor, Think Happy Thoughts. 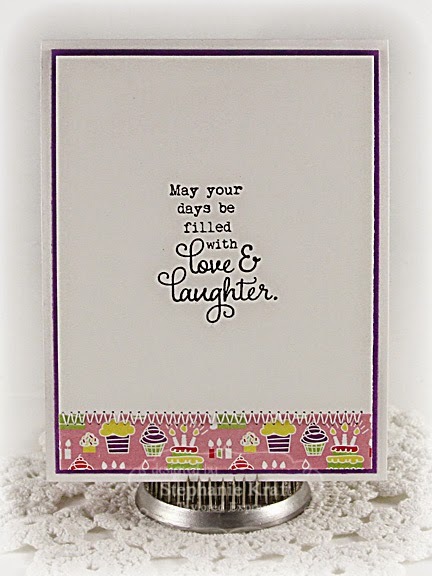 This petite stamp set includes a very "happy" coordinating die and will be FREE with orders over $50 beginning on September 11th - September 21st. One free set per customer, while supplies last. These are adorable, Steph! I LOVE all of the vellum! Such a sweet collection of projects Stephanie! Love all the embossed detail! 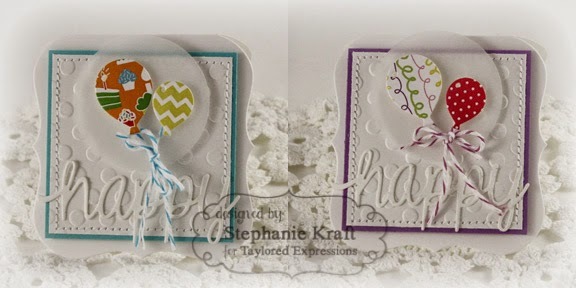 Your first set of cards looks sooo pretty with the new dp and vellum, Stephanie, and the little note cards are just precious...love how you used the balloons!! !